Vista SP1: Not What it Should Have Been? I read three reviews today (and saw several more headlines when I Google’d “vista sp1 review”) that talked about the first service pack for Vista being – what amounts to, I suppose – nothing to get excited about. Don’t take my word for it, read the reviews for yourself. I just don’t get it. 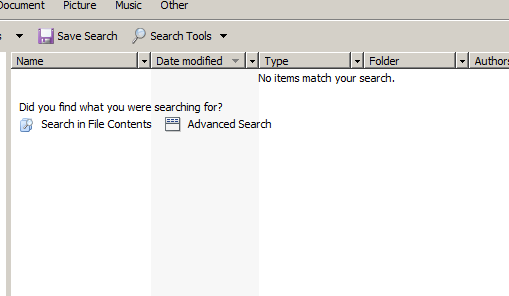 Now approaching what, SEVEN years in development and Vista STILL isn’t compelling? Microsoft has had over a YEAR to do SP1 and in some cases performance actually gets WORSE? 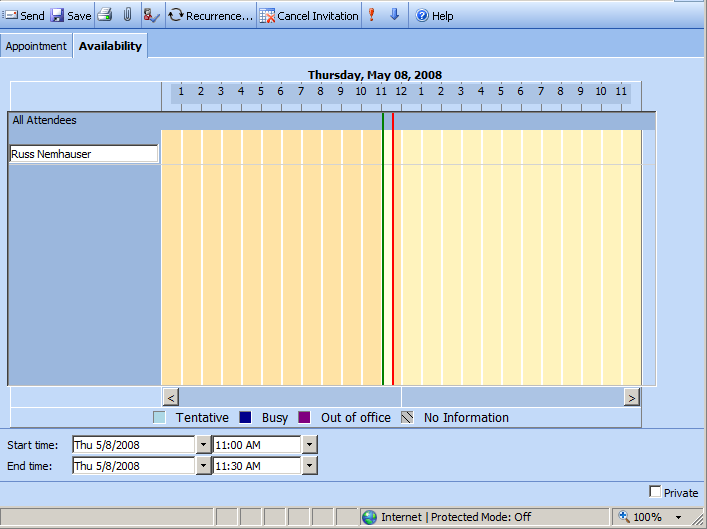 XP might not be the best thing in the world either, but at least I know what to expect from it because I’ve used it at work for so long. 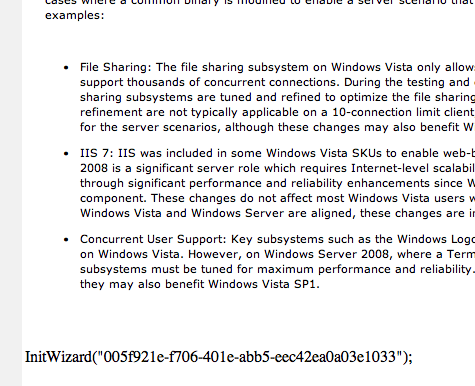 I was going to give Vista another shot when SP1 shipped, but now it looks like it’s just not worth the effort. I remember when I first installed the Vista gold code. It was on a nice new machine, too. Within 28 hours I had reverted back to XP. It’s very fascinating to me how differently peoples’ minds react after reading the exact same thing. It all depends on many things, of course, including your state of mind when you read it as well as your history with the subject matter. One of those seems a little more subjective than the other, but they both participate in opinion-forming. When I read the Google blog post about Microsoft’s hostile bid for Yahoo (see http://googleblog.blogspot.com/2008/02/yahoo-and-future-of-internet.html), I thought it was very well written and that the message was very well said. I also related very much to what they were trying to say. An hour later, after more reading, I found that several people were taking the standpoint that Google was (effectively) a pot calling a kettle black. Google, they claimed, IS a monopoly, so what gives them the right to go after Microsoft for trying to buy Yahoo?My opinion is that Google didn’t obtain its market share the same way Microsoft obtained theirs. And that’s really a big difference. I use Google search, for example, because I regularly try the others and they just don’t get me what I want. If they did, I’d switch. I use Google maps because MSN Maps doesn’t work on Safari (or perhaps even Firefox, at least as well as they do in IE). I’ve seen the MSN maps in action, and I’d like to use them, but I just can’t. I am physically unable to because Microsoft chooses to make them unavailable to me. This goes back to my point about how Microsoft obtained their market share. In short, I believe the point is this: Google wants everyone to use their products. Microsoft wants everyone to use their products as long as you use THEIR operating system, THEIR browser, etc. I believe consumers have the right to more freedom than that. And that’s one of the smaller reasons why I don’t use Microsoft products anymore. How many of those are actually in use? Do those include the free upgrades that were shipping at one time? Do those include people who bought a computer with Vista but then downgraded to XP? Are volume license upgrades included in the hundred million? The bottom line is that the more I think about it, the more that 100,000,000 seems inflated to me. For Microsoft shareholder benefit, I’m sure the number is real. After all, once Microsoft registers a sale, it goes to the bottom line no matter if the person uses the product or not. I think an interesting question to ask, particularly in the face of Microsoft’s “Windows Genuine” program is, how many copies of Vista have been ACTIVATED? I’ll throw out a number and see what people think: half? Could 50,000,000 copies of Vista have been activated since the launch? I would love to find out. In today’s world of serious market share challenges from other vendors, I believe it’s just as interesting to hear how many copies of Vista are in use as it is to hear the raw sales numbers.